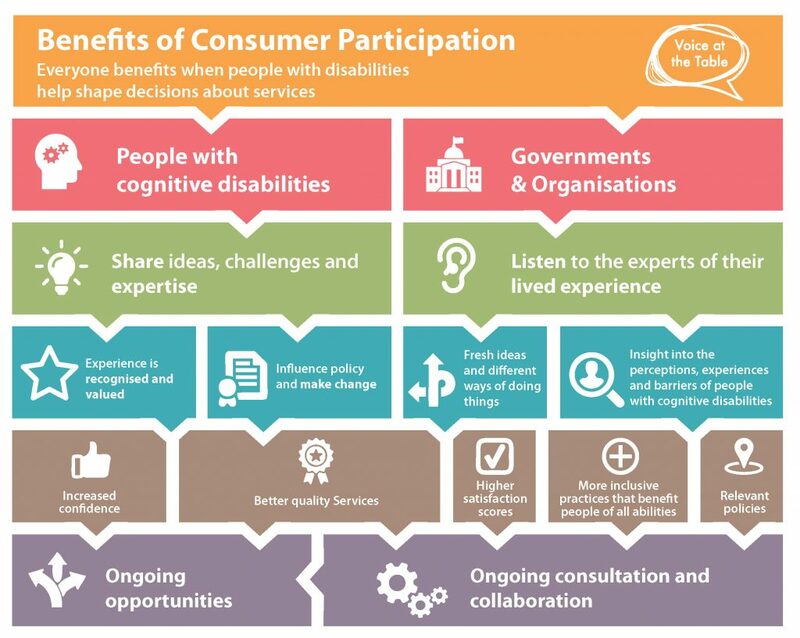 Consumer participation is you having a say in all of the decisions that are made about the services you get. Speaking up for other people with an intellectual disability. Working with government and services to make life better for people with an intellectual disability. Equal rights for people with an intellectual disability. Sharing the experiences of living with an intellectual disability. Sitting on different committees or advisory groups. Having a say in planning for new and better services.